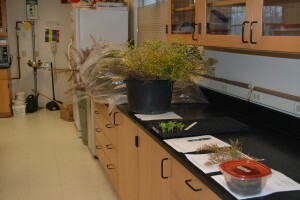 The Plant Diagnostic Laboratory is in recovery from SAD – not seasonal affective disorder – but sample affected disorder! 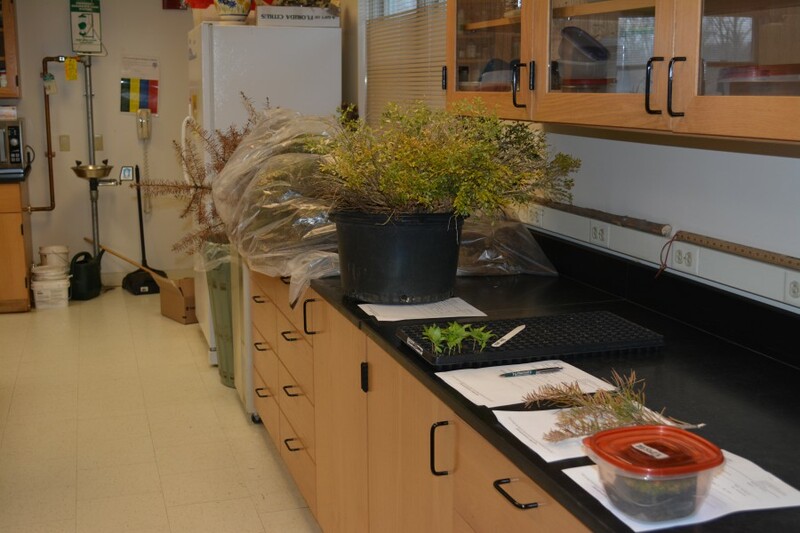 Snow cover equals very few sample submissions, so with the exception of our talk show circuit, life in a plant diagnostic facility is pretty quiet in the winter. While it is certainly a pleasure to see everybody at the winter meetings, I would much rather sit in the lab looking at dead stuff than stand in front of everybody talking about it. Fortunately, as the weather improves from week to week, the samples are starting to roll in. 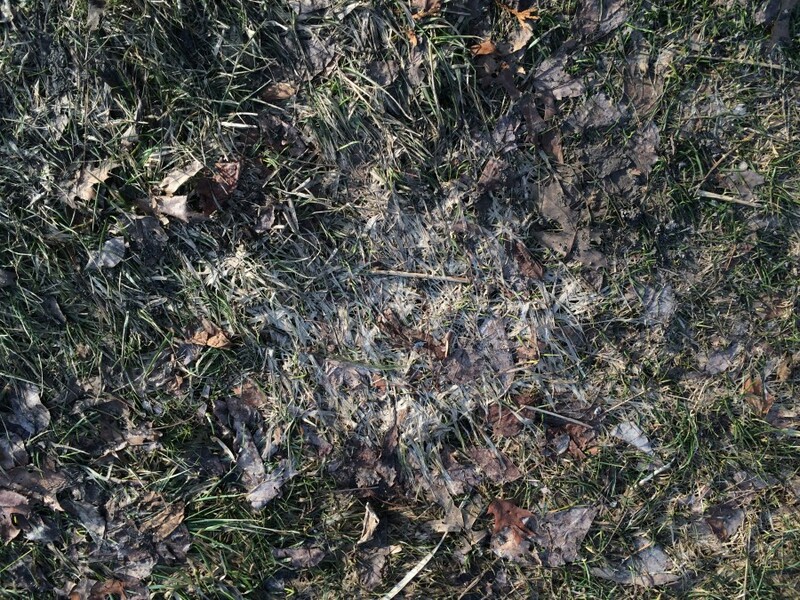 As winter droned on into spring, one of the things that kept me from SAD – the seasonal affective disorder kind – were the patches of gray snow mold outside my front door that provided me with a daily reminder of the joys of dead and dying turfgrass. We (us pathology types) generally talk about gray snow mold as a disease that does not result in dead turf. 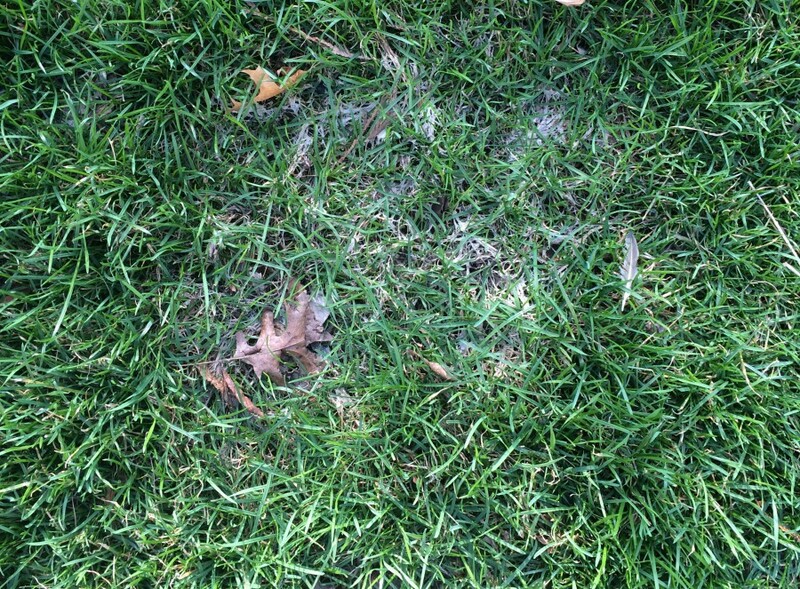 In fact, the fungus that causes the disease in our area, Typhula incarnata, is generally considered a leaf blighting fungus. 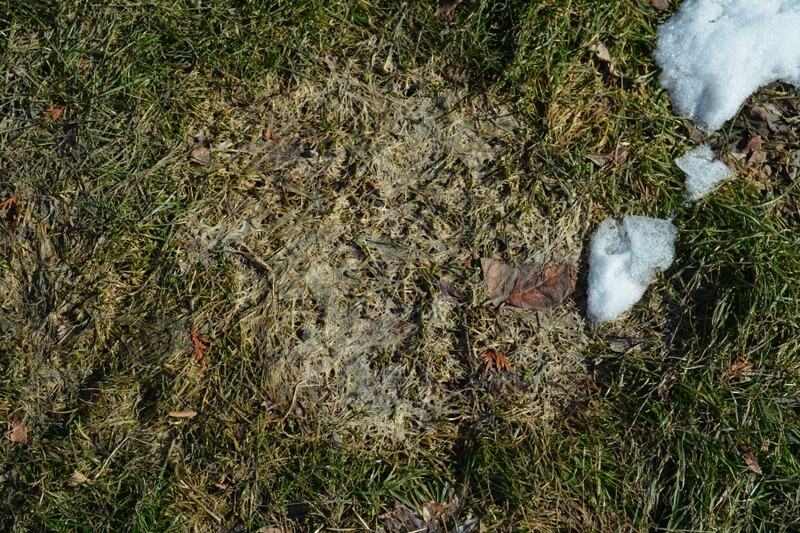 As bad as the grass can look when the snow melts, the crowns are mostly spared, so diseased plants eventually regrow and recover the stand. 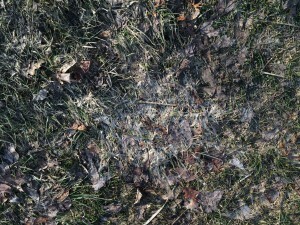 To illustrate the point, the series of photographs in this post are all the same patch outside my house. While not exactly time-lapse photography, the pictures were taken about 7-14 days apart over the last month. Note the apparent regression from the first to the second photo. We had snow that week. 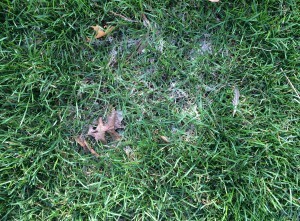 Also note how quickly the turf filled in once we got to April. 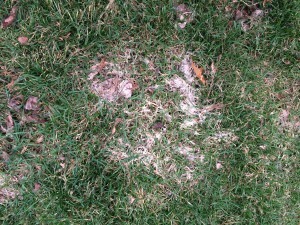 Any generally well-maintained turf stand should do the same. 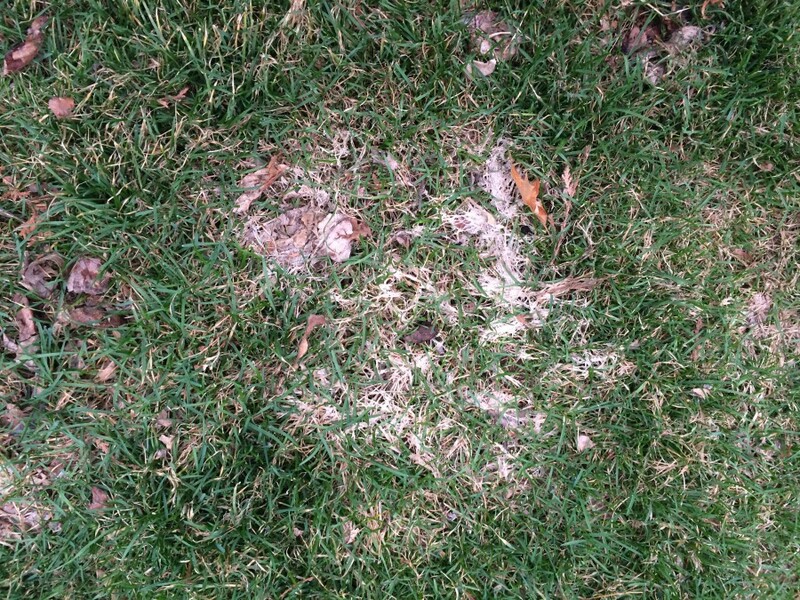 A couple weeks of warmth, some April showers, add a little nitrogen, and the grass is off to the races – well prepared for a little brown patch in the dog days of summer. Can’t wait!